Holy Smokes, Amazon is really on the roll. They’ve previously given out free $5 store credit and also gave away $30 worth in free apps. Well, today the company is also giving away another free bundle of apps and games worth $18. 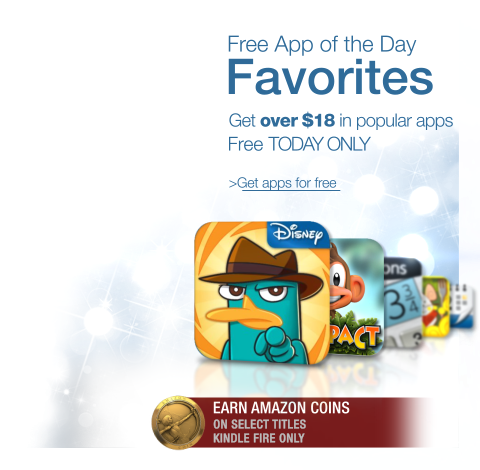 This new Welcome Bundle by Amazon also includes some great apps like Where’s My Perry?, Osmos HD and more. If you act quickly you’ll be able to score this bundle because it will be only there for a day. You can also receive Amazon Appstore Coins on the download of the of these apps which can be redeemed for more digital content. Check out the list of individual apps in the bundle below.